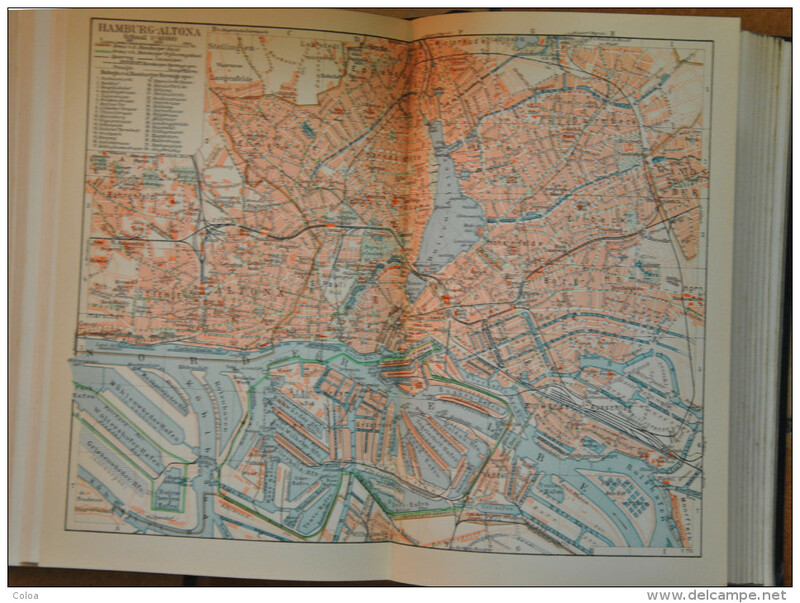 circa 10.000 pages, thousend of ills in the text, numerous col. maps outside the text. 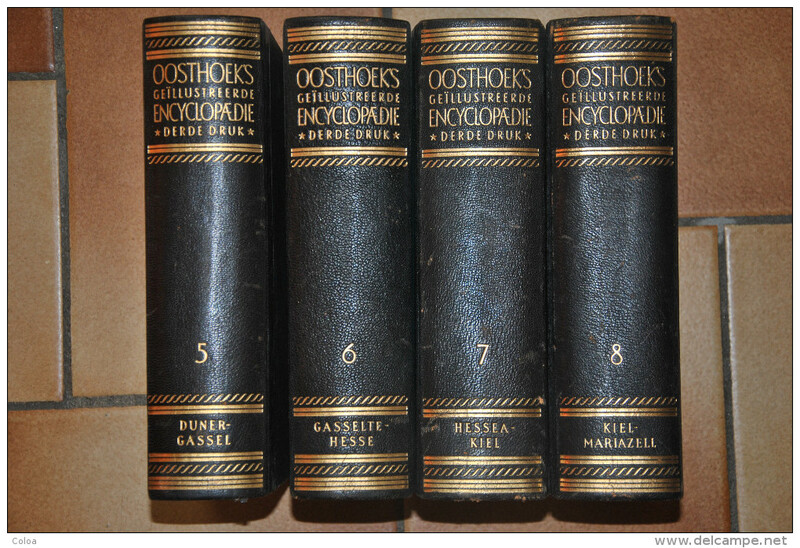 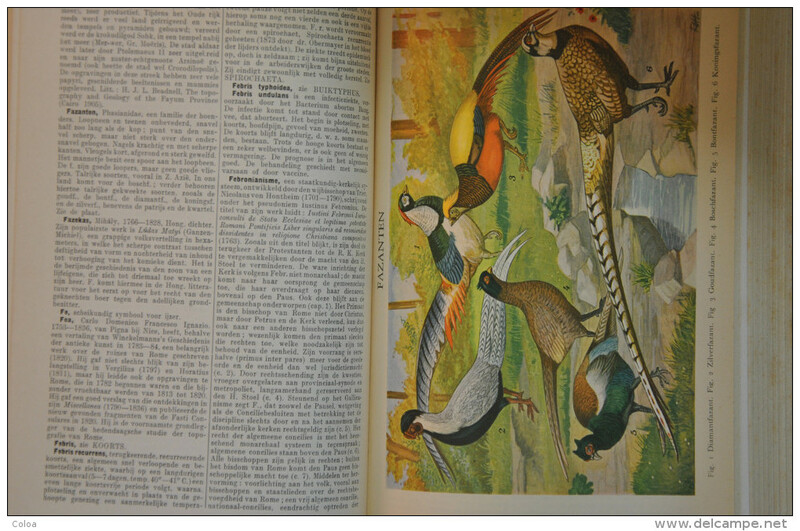 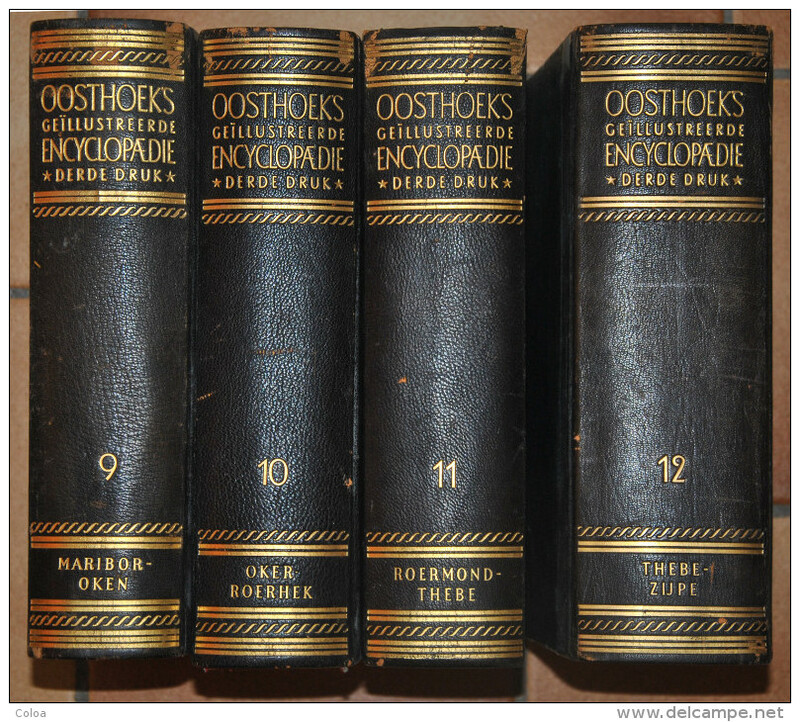 General encyclopaedia IN DUTCH with numerous items of Dutch significance. 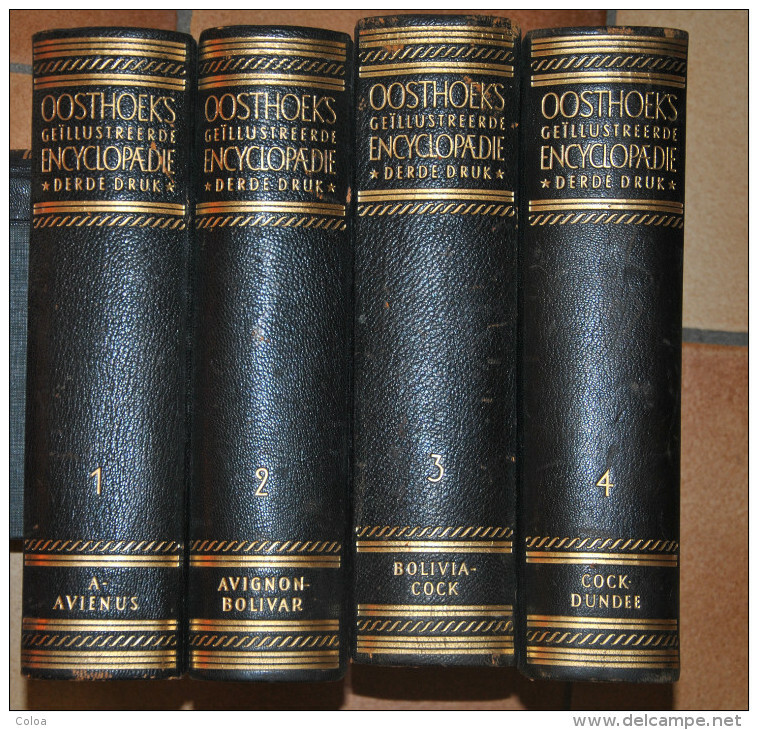 many lemna with author's names and short bibliographies. 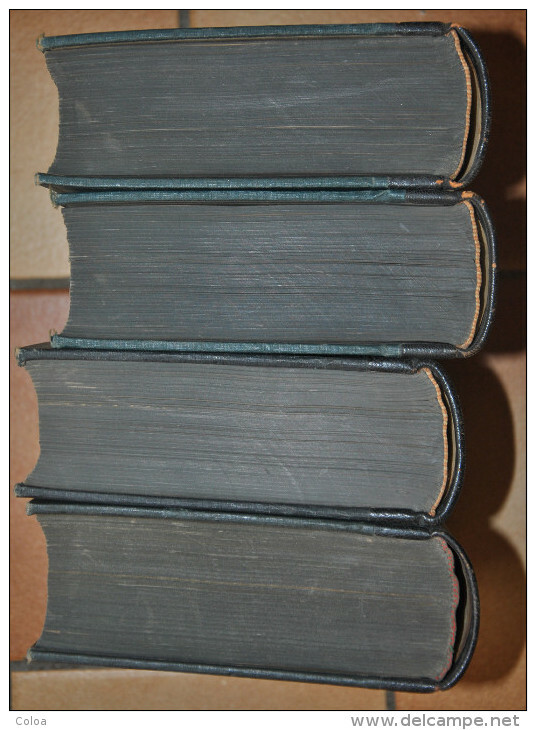 tome 1 : 880 pages, tome 2 894 pages, tome 3 904 pages, tome 4 928 pages, tome 5 888 pages, tome 6 911 pages, tome 7 912 pages, tome 8 888 pages, tome 9 896 pages, tome10 936 pages, tome11 936 pages, tome 12 1005 pages.